Serving Invisalign in Houston, Richmond, Katy, Sugar Land, and all surrounding areas. Best Dental provides Invisalign (also known as clear braces) treatments to our patients who want to straighten their teeth without the hassle of metal brackets showing during their every day lives. Invisalign is a more discreet and straightening option that uses a set of clear custom-trays to slowly align your teeth to their proper positions. Each tray or aligner will slowly shift your teeth into their correct positions giving you that beautiful smile you have been dreaming of. Invisalign can be used to entirely replace traditional braces in most cases. 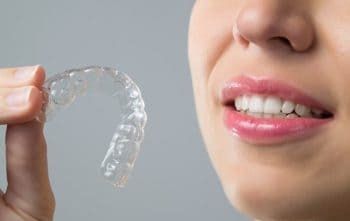 The aligners can be used to correct spacing, crowding, and bite problems such as overbite and crossbites. The other great thing about this treatment is that the aligners are removable, so that you can eat, brush, and floss your teeth appropriately. Our team will also go over how much Invisalign costs depending on your treatment needs. Below are some common questions we see with Invisalign treatment, so we hope it helps. If you have any further questions or concerns, please contact us today! Yes they are! As technology is improving Invisalign is able to even correct some minor bite malformations that we are seeing with our patients. Clear braces has really come a long way. We charge $2,000-$5,000 for Invisalign treatment at Best Dental. The range is there because we need to determine how long the treatment will be, if we will be doing both upper and lower clear trays, etc. The cost for Invisalign is slightly more expensive than our traditional braces treatment just because the overhead is very high. Invisalign is a corporate company and they charge dentists a lot to use their brand. Much like traditional or metal braces, they are slightly uncomfortable at the beginning when teeth start to shift, but after a few days that discomfort goes away. Not at all. The clear buttons we place on your teeth are used to stabilize the trays, and where the trays work their magic. The buttons are made up of resin composite which blends in very nicely with your own tooth structure. Are the Invisalign Trays removable? Yes they are. However, we tell our patients they need to be in your mouth for a minimum of 22 hours a day for them to work. The only time they should be removed is when you eat food, and when you are brushing and flossing your teeth. They are slightly visible, but only if someone is looking hard to see them. You will be surprised how transparent they really are, and how great you will look throughout the whole process. Are traditional metal braces faster than Invisalign? This really depends on the case. If teeth are severely crowded or spaced out then traditional braces will move teeth more quickly into position. If there is minor to severe crowding or spacing of the teeth, then Invisalign works just as quickly and effectively as metal braces. Can Invisalign fix teeth crowding? Absolutely. There are even cases where it is just as effective in treating crowding as traditional braces. Invisalign can fix minor overbite cases. Severe overbite cases will have to be evaluated by Dr. Jasmine to see if Invisalign would be a good option in those cases. Can Invisalign close extraction gaps? Yes they can. As some people are aware, sometimes dental extractions are needed to fix teeth crowding. Sometimes there just is not enough space to straighten all your teeth. Invisalign can certainly close these gaps. At Best Dental, we want to make sure that you are aware that it may take a little more time to close these gaps versus traditional braces. Invisalign can fix minor open bite cases. Severe open bite cases may require traditional braces and possible surgery. We will let you know what your best options are at your consultation appointment. Can Invisalign fix an under bite? It certainly can, but only minor cases where teeth can be moved into their proper position to fix your bite. Severe under bite cases may need traditional braces in conjunction with surgery. Can Invisalign fix an overjet? A dental overjet is when the top front teeth protrude outwards over the bottom teeth. In the past it was common to call it ‘buck teeth’. Protruded upper teeth are often due to having the lower jaw slightly underdeveloped versus the upper jaw. Invisalign can help fix minor to moderate cases of overjet. Dr. Jasmine will let you know what she feels is right for you at your consultation appointment. Can Invisalign fix a crossbite? 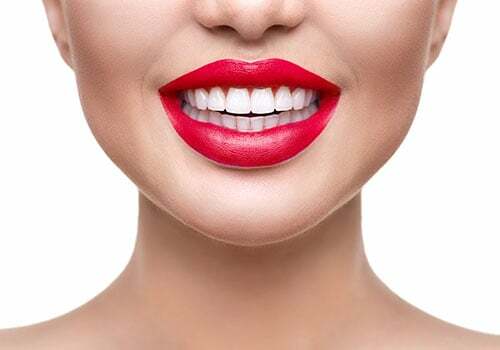 Minor cases of cross bites can be fixed with Invisalign. As mentioned previously, if a bite a severely out of place such as a cross bite, traditional braces in combination with surgery may still be needed. Can Invisalign fix my midline? Yes, Invisalign can certainly be used to correct your mid-line. At your consultation appointment, Dr. Jasmine Naderi will see how out of place your mid-line is and the best way to correct it moving forward. Can Invisalign fix my teeth grinding habits? Unfortunately, teeth grinding has more to do with your facial muscles versus your actual teeth. If you suffer from severe grinding habits, a night-guard may be recommended by Dr. Jasmine at your consultation appointment. How does Invisalign treatment work (step by step)? We come up with a customized treatment plan for your Invisalign treatment moving forward. The same appointment we will take impressions of your teeth along with pictures. Your trays or aligners will come back in a few weeks. You wear your aligners during the course of your treatment along with small teeth modifications from Dr. Jasmine. A new set of aligners will be given to you every 1-3 weeks. Get that beautiful smile you always wanted once treatment is complete! How Long does it take for Invisalign to start working? Once the trays are sent back to us, you will notice immediate results after a few weeks of wearing your aligners. It will be one of the best decisions you make. How many appointments do I need for Invisalign? This is really case dependent, but in general Dr. Jasmine needs to see her patients every 4 weeks for any aligner changes and teeth modifications. Treatments can last anywhere between 6-18 months depending on the complexity of the case. Can I speed up my Invisalign treatment? Some cases, we can change out your aligners once a week. Some more severe and complicated cases, you may need to wear your tray a bit longer. We want what’s best for your long term oral health, and we want to make sure we do things the right way. Are there cases that Invisalign can’t fix? 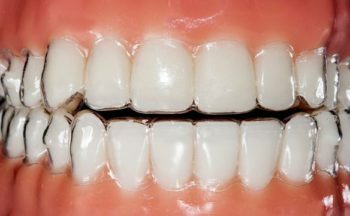 Yes, severe bite corrections and extreme spacing and crowding may still require the need of traditional braces along with surgery. What are the Invisalign trays made of? 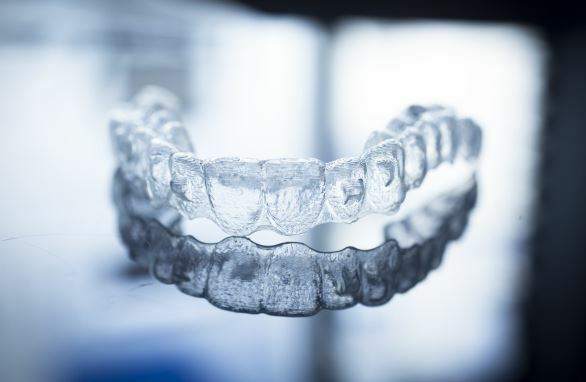 Invisalign clear trays are made of flexible plastic called SmartTrack®, which is a thermoplastic material that is created exclusively for Invisalign treatment. Invisalign clear aligners are FDA-approved and do not contain latex, or gluten. Invisalign Express is designed for those with minor crowding and spacing problems. Treatment is faster and more affordable. Invisalign Express can cost $1,500-$3,500 on average depending on the case. Similar to express, this treatment is designed for people who have minor crowding or spacing issues. The treatment is a little longer than express, and our patients who are accepted for this are usually those who have a little more crowding and/or spacing than our express patients. When do I remove my Invisalign aligners or trays during the day? The only times the trays should be removed is when you are eating and brushing/flossing your teeth. The trays should remain in your mouth the rest of the time. Will I have to wear retainers after my Invisalign treatment? At your consultation appointment we will let you know how long retainers will have to be worn for, and for exactly how long. Where are Invisalign trays made? Invisalign is manufactured by a company called Align Technology, a multinational medical-device company. There headquarters is located in San Jose, California. The company’s clear align system has been used to treat millions of patients all across the country. If you are looking for invisible braces give our office a call or schedule online (link at the top right of the page) to setup your free Invisalign consultation with Dr. Jasmine.